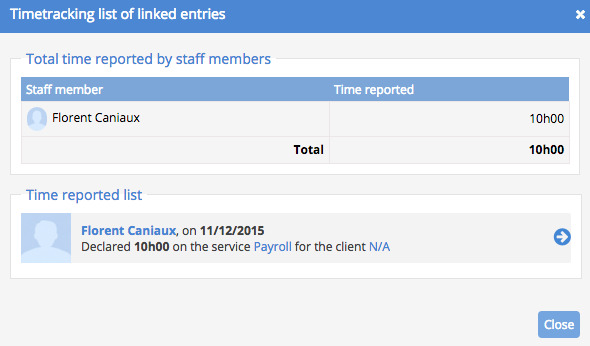 Time tracking is fully integrated with the Customer Support module. The time tracking feature allows you to accurately track time spent by your staff for support or maintenance operations (resolution, repair, transportation, etc.). If you use the Hours Rebilling add-on at the same time, it becomes very easy to invoice your support actions to your customers. Then enter your time tracking data normally. 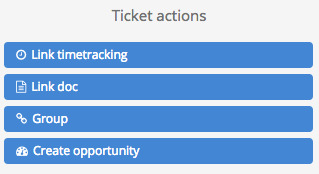 You can then view a summary of time tracking by clicking See time tracking. If you use the Hours Rebilling add-on, you can easily find these hours and generate the invoice from the Time Tracking menu then Bill hours.